Musical compadres Barbara Higbie and Peppino D'Agostino offer a multifaceted evening of music celebrating the winter solstice. Barbara—a Grammy-nominated composer, multi-instrumentalist, and singer—and Peppino—a virtuoso acoustic guitarist, composer, and singer—join forces for a performance that features solo and duo sets ranging from originals to what Barbara describes as "Musette pieces, some acoustic funk, a splash of classical, Italian, Irish, and African, but mostly our own unique music played in a warm, interactive manner." Sounds like fun to us! Barbara's performances combine technical brilliance and pure joie de vivre. Her rich background includes classical piano and violin studies, immersion in the musical culture of Ghana, and ground-breaking work with the jazz-folk-bluegrass band Montreux and with Terry Riley. 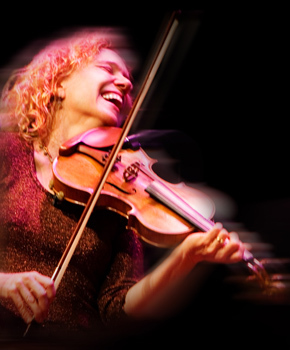 Her compositions bring together jazz, folk, classical, African, Brazilian, and Celtic elements to create music that is lyrical, rhythmically playful, and harmonically inventive. Tonight's show gives Barbara a chance to shine forth with her talents on piano, violin, vocals, and ukulele. Originally hailing from Italy, Peppino combines technical prowess with the rich lyricism and passion of his Mediterranean heritage. His compositions, marked by dynamic rhythms, constant changes in tuning, and evocative melodies, highlight his distinctive method of playing. 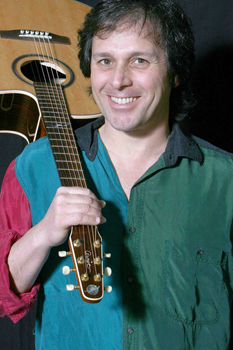 Peppino, who won Guitar Player magazine's 2007 Reader's Choice award for Best Acoustic Guitarist, now resides in the Bay Area. As part of the Chamber Folk Series, a year long set of conversations with notable artists, we start off this evening with a pre-show question & answer session with Barbara and Peppino, moderated by Robin Flower.